Winchester City Council: Pure Town Planning were pleased to assist a client in obtaining consent for changes to a house under construction in the countryside near New Alresford, Hampshire. The house was approved some time ago on appeal against the strong objection of Winchester City Council. The personal circumstances of the then occupier of the land were a key consideration of the Inspector’s decision to allow the dwelling however the Inspector did not make the consent personal to the occupier. Some years later our client obtained the site from the landowner who had already commenced the development and thus secure the planning permission indefinitely. 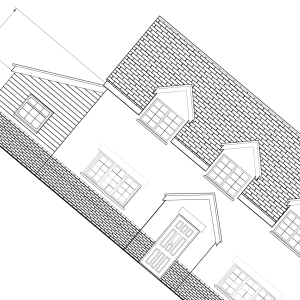 Our client wanted to make various changes to house including changes to materials and windows, modest extensions and a detached garage – these would usually have been permitted development but permitted development rights for extensions and outbuildings had been removed by the Inspector. The Council were concerned about how to handle the proposal given the history of the appeal – specifically the personal circumstances which resulted in it being allowed now no longer existing. The Council felt unable to grant a fresh consent for a new dwelling. Following some delicate negotiations, the Council agreed to approve alterations to the windows and materials as a non-material amendment to the original consent to allow our client to get to work on the walls. Then once the build had reached the roof the Council agreed to treat the remaining alterations as a householder application for extensions and an outbuilding to an existing dwelling. The timing of the householder application was critical to avoid delaying the build. Fortunately everything was resolved successfully and consent was granted before Christmas just in time to allow the roof to be fitted incorporating the extension elements. If you have a tricky planning problem then why not contact Pure Town Planning for a free appraisal and find out if we can assist.